AWARD-winning theatre practitioner Charles Munganasa has urged President Emmerson Mnangagwa's government to ensure that artists are free to express themselves because fear often hindered creativity in their work. 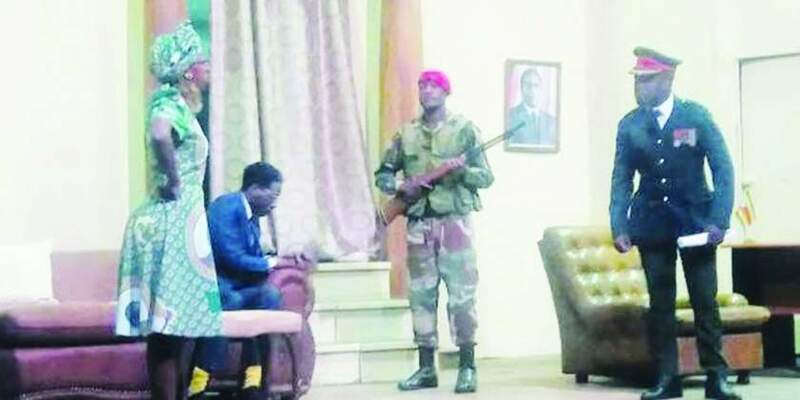 Speaking on the sidelines of the staging of his controversial play - Operation Restore Regasi - which chronicles the ouster of former President Robert Mugabe in a soft coup, Munganasa said their play had few takers at the beginning because of its sensitive nature. "When we were auditioning for the play, we had very few people coming up for auditions, as they were afraid of doing a political play. Artists have been afraid of politics because of the previous Mugabe regime that was so strict when it comes to artists expressing themselves," he said. Munganasa said so far, they have not had any problems with the Mnangagwa regime and expressed hope that artists would continue to do their work without political hindrance. "From the look of things now, it appears artistes will have freedom to exercise our creativity without limitation and intimidation," he said. "In this play, we have worked very well with the Zimbabwe Defence Forces, starting from Masvingo. That is why we have no difficulties in donning some of our customs such as the army ones." Munganasa features as the former Zimbabwe Defence Forces commander General Constantino Chiwenga. He urged the government to consider the future of local arts and culture industry, which he said was capable of contributing towards the growth of the country's economy. "Government is losing a lot of money because for a long time, it has been silencing arts and culture in Zimbabwe, as they think it is anti-government, but arts and culture can be pro-government. It is high time the government starts contributing towards arts and culture emancipation," he said. The play focuses particularly on events that took place at the Blue Roof mansion, Mugabe's private residence in Harare, and employs an imaginary and satiric style. It is guided by actual events that took place during that week of immense suspense. Munganasa said the play would be staged at Theatre in the Park until tomorrow before it goes on tour across the country. The cast includes other seasoned actors namely Carol Magenga, who features as Grace Mugabe, Farirai Mukumba, Mike Khetani Banda as Mugabe, Dereck Mapfumo, Donovan Takaendesa, Sydney Taivavashe, Rose Zivanai, Marayne Mtetwa and Tatenda Makava.